Pause for a moment, and consider the phrase, “new beginnings.” What images come to mind? A beautiful sunrise? A new baby opening his eyes to the world for the first time? Spring? Easter Sunday morning? A chance to start again, when life has become dark and difficult? Beautiful images, full of hope and promise. For many, Easter is filled with rabbits, eggs and baskets, but for others it signifies the season of spring, of hope and renewal. I’ve got to tell you, Easter is one of my favorite holidays. The day reminds me that this is a time of new beginnings, new starts and makeovers. It is no wonder that Easter comes in the spring, a time when we work on our gardens, tilling the soil and making way for new plants and vegetables. It is also a time when we clean out closets, getting rid of the things that we no longer need or want. Easter is a great time to sit down and evaluate or reflect. Ask yourself; ‘Am I happy?’. If no, perhaps try and identify the areas of your life that are making you unhappy. It’s never too late to change! If you say ‘yes, I am happy’, perhaps think about what it is that is making you happy and celebrate this. The idea of a fresh start is for some, the ultimate freedom. It can mean different things to different people but it could mean doing something that you’ve always wanted to do but never had the courage to do it. It could mean changing your thinking which will help to change your behavior, remember: ‘Think positive, be positive’. You can be empowered. You can have the fresh start that you have always wanted. You can do anything that you want to do. It’s time to make a change. Many philosophers and experts believe that the purpose of existence is nothing but improvement in yourself and therefore help your productivity. To this effect, they advise everyone to make sure that they are always trying to improve themselves. If you consistently try to improve yourself in a variety of ways, then you would soon realize that you are succeeding more often in life. This is the biggest proof that improvement should be considered one of the prime purposes of existence. However, the big question is how can improvement in yourself be made a part of daily life? The answer is not regarding one single decision but in small steps. Small steps would allow you to consistently move closer to perfection. Here are some tips that will help you improve a part of your daily life. The first step toward improvement in your life is to analyze where you stand in life. This means that you should take into account all your past successes and failures. While doing this, you should consider why succeeded in certain situations and failed in others. Doing this would allow you to understand yourself more. As per any psychologist, understanding the problem is crucial when it comes to changing something in yourself. This is why it is so essential for you to analyze your life about your successes and failures. While analyzing your life would allow you to understand yourself, you should try to focus on your strengths and weaknesses more. The key to motivating improvement is to make your strengths stronger and your weaknesses weaker. If you're aware of your strengths and weaknesses, you would be able to make better choices in life. The tip to understand better advantages and disadvantages of your personality is to write down them and then ask your best friend to read and decide what is true or what to add. If you can make the right choices in life, you would find yourself succeeding more and more. For example, every time you come across a project or a challenge, knowing your strengths and weaknesses would help you decide whether you should take it on or walk away from it. Self-improvement hinges not only on what is inside you but also what is around you. This means that the people surrounding you should also be given importance about whether they help you or hinder you. Therefore, you should look for people who are bad influences around you and try to stay away from them. The right kind of people around you can turn out to be a source of inspiration for you. Similarly, regardless of what great qualities you may have, the wrong kind of people around you can keep you from achieving great things. Many people have this belief that they should just focus on working all the time. They think that if they can devote as much time to work as they can, they would succeed. This is the wrong strategy because if you focus on quantity of work, then you would not be able to provide as much quality. Similarly, if you focus on relaxing more than working, then you would never find success in life. Therefore, it is very important for you to learn moderation in everything. In fact, moderation should be practiced about everything from important aspects of life, like work to the mundane aspects of life such as eating. Another secret of success is a positive attitude. A positive attitude is one of the most underrated things in life. If you can make yourself have a positive attitude in life, you would find that things come easier to you. In simple words, a positive attitude in life can make even the most difficult of things seem easy to achieve for you. About the Author: Carol James is a writer and editor. She has MA degree in social sciences and is an excellent specialist in this field. Moreover, Carol writes articles, reviews on the different actual subjects. So, if you have any questions regarding the writing, feel free to ask her! Guest Post: How to Choose a Proper Team Structure for the Highest Efficiency? Managing projects with different stakeholders, goals and milestones can be difficult for the novice and uninitiated project managers. Even individual teams without outside collaboration do need proper management. What are the most famous and effective team structures that can provide the highest efficiency should you need to shuffle your team up? Functional teams are usually separated into different departments that operate within each other’s boundaries. These teams answer to a project manager and have no correlation between each other. Imagine a marketing team working on marketing and HR working on employee management. These teams work well if the manager is well informed about their individual strengths and weaknesses as well as how to utilize them to get the best results. Functional teams are not a viable solution if there are too few team members or if the project requires multitasking due to strict deadlines. As the name would suggest, this team structure is the polar opposite of the functional structure. Cross-functional teams operate on an “all-in” basis and every team member is required to pitch in towards the final product. These teams are very creative and have unconventional ideas that can often flourish into imaginative results. However, having no real leadership or structure, team members are often prone to conflict and individualism. This is a good choice of structure for small teams and those with vastly varying skillsets that wouldn’t function otherwise, for example, an essay writing service, or design studio. 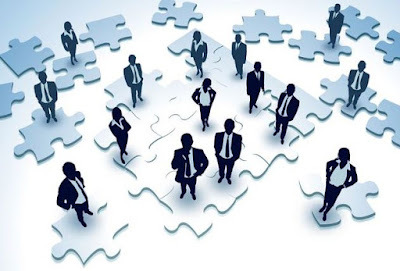 Matrix teams operate on a dual-leadership basis. Simply put, teams with matrix structure answer to project managers and upper management at the same time. This can often lead to confusion and broken deadlines due to miscommunication errors. Matrix teams are also very traditional and team members are strictly assigned to their specific tasks without an ability to stray from it. If the management knows what they are doing, this can be a very good option for managing large teams or those without proper leadership. Putting no one in charge of your team might sound disastrous at first. Unlike the previous structures we have discussed, self-managing teams offer an unprecedented level of autonomy and personal responsibility for team members. This is the best way to let a team decide whether or not they can put their differences aside and work together as professionals. Members of self-managing teams will also gain far more experience from a free working environment and even manage to develop leadership skills themselves as a result. Managing a virtual team might not be the ideal solution for inexperienced managers. Those who prefer working online will find that people work much better if their mutual interactivity is limited to chat rooms and Skype meetings. Working in a virtual environment allows each team member to feel comfortable by staying at home, all while pitching in and working on a common project that everyone has a stake in. While virtual teams might be harder to manage, they also allow for the highest level of flexibility, allowing members to literally be on different sides of the world and still work together. Before opting for a definitive team structure, ask yourself the question of what the point of that team really is. Why are you putting together a team and do you really think that the people you choose can work together? Most team management problems stem from a lack of understanding for the members involved as well as mismanagement of said members by pairing them with people they can’t work with. Use your best judgment and weigh your personal leadership skills against the needs and wants of the project. It’s the only way to pinpoint what the proper team structure is for you. About the author: James Scott, experienced writer and co-founder of writing service Essay Supply. A bit of musician, a bit of a dreamer, a bit of introvert. From parts you get the full me, without them I won't be complete. Stephen Hawking, the brilliant British theoretical physicist, died last week at the age of 76. I saw the quote above on some online article and couldn’t help think of similarity to Lean thinkers. This world we live in is constantly growing and developing in many ways. If we look out for it, there are countless new things we can learn every day. Learning never stops. Look around your surroundings, even the people you spend time with. There is so much out there to learn from. Read a new book, meet a new friend, or sign up for a new class. If you pay more attention to the things around you, you might even learn something new just by going for a walk outside. Throughout his career, Hawking did revolutionary work in the fields of astronomy, cosmology, and mathematics. He conducted extensive research relating to the origin and development of the universe and also published a widely popular book on the subject in 1988 — A Brief History of Time — which has sold over 10 million copies. Hawking also served as a professor at the University of Cambridge for most of his career and received more than a dozen different honorary academic degrees for his trailblazing scientific work. In addition to his professional achievements, Hawking was known for his personal resilience, as he battled the neurodegenerative disease ALS (amyotrophic lateral sclerosis) from age 21 onward. The disease left him almost completely paralyzed, but did not stop him from pursuing his lofty scientific ambitions. Despite being so brilliant, Stephen Hawking remained relatable throughout his life. His leadership qualities were readily apparent to anyone he met, thanks to his willingness to speak out, his passion, and his total authenticity. Dr. Hawking left behind a legacy of creating and passing down knowledge, and we’ll continue to learn from him for many years. I thank Dr. Hawking for his numerous contributions to the field of science, and for being an outspoken advocate of learning and leadership. A strong organization offers career protection in today's economic marketplace. If it’s financially successful, your paycheck is more secure. If it keeps getting better and better in the way it does business, your future usually gets brighter. But the organization can’t improve unless its people do, whether it’s in operational savvy, sales ability, computer expertise or placement effectiveness. Continuous improvement - the Japanese call it “Kaizen“ - offers some of the best insurance for both your career and the organization. Kaizen is the relentless quest for a better way, for higher quality craftsmanship. Think of it as the daily pursuit of perfection. Kaizen keeps you reaching, stretching to outdo yesterday. The continuous improvements may come bit by bit. But, enough of these small, incremental gains will eventually add up to a significant, valuable competitive advantage. Also, if every employee constantly keeps an eye out for improvements, major innovations are likely to occur. Higher levels sometimes lose perception of what’s going on in the “trenches” because they aren’t in them every day. Good companies realize that and encourage feedback from staff. The spirit of Kaizen can trigger dramatic breakthroughs, whether it be redesigning a simple form or developing new company protocols. 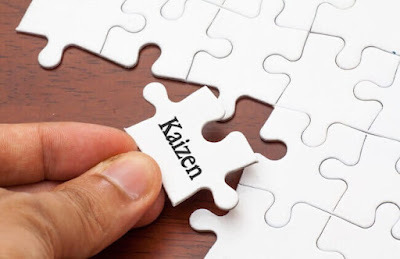 Without Kaizen, you and your employer will both gradually lose ground. Eventually, you’ll both be “out of business” because the competition never, ever stands still. Ever. 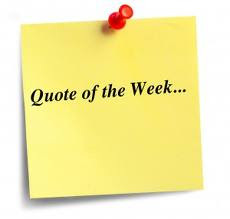 Tom Peters put it this way: “Good quality is a stupid idea. The only thing that counts is your quality getting better at a more rapid rate than your principal competitors. It’s real simple. If we’re not getting more, better, faster than they are getting more, better, faster, than we’re getting less better and more worse. Nobody can afford to rest on a reputation today. Circumstances change too quickly today. Competition gets tougher and more global all the time. What we consider “good” today is seen as “average” by tomorrow. Every single employee should assume personal responsibility for upgrading job performance. Your productivity, response time, quality, cost control, and customer service should all show steady gains. And your skills should be in a state of constant renewal. Granted, this drive toward an ever-improving performance doesn’t guarantee job security, raises or promotions. It’s just not feasible in today’s business climate. You still can be a victim of circumstances, even in strong, financially successful organizations. But if you passionately practiced Kaizen, you’ll have built your competency level. Your track record will help sell you and let you make your own good luck! Problems are the natural offspring of change, so you'll see plenty of them in the years to come. Build a name for yourself as a problem solver, and you'll be a valuable person to have around. Organizations need people who can take care of problems, not merely point them out. Too many employees get this confused. They seem to think complaining is a constructive act. Their keen on identifying all of the problems - often in an accusing, blaming fashion - but contribute little towards improving things. Their attitude is "Upper Management is supposed to make it all work. We'll sit back, watch them struggle and second guess their solutions." As employees, in fact, as an entire society, we've gotten unbelievably good at the blame game. We're experts at dodging personal responsibility and using our energy to criticize and complain instead. This carries a terrific cost. So long as we search beyond ourselves for solutions, we disempower ourselves. You might say that even as we commit the crime and blame someone else. We also become the victim. Even when we find someone else to blame for our circumstances, we win a hollow victory. It may feel good for the moment to get ourselves off the hook, but it perpetuates the problem. 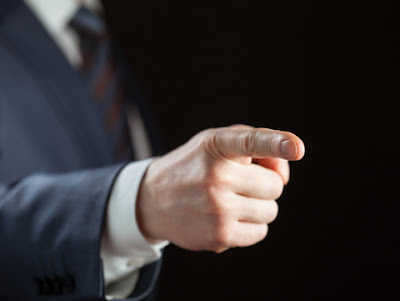 Finger-pointing does not position us to do our part - that only we can do - toward workable solutions. We've come to expect too much from our institutions, and too |e of ourselves as individuals. In the long haul, it simply doesn't work. The organization's values grow out of individual employees values. The organization's results are merely the accumulation of singular people's results. So instead of being a finger-pointer, and rather than trying to single out somebody to blame, assume ownership of problems. Let the solutions start with you. You'll increase your odds of career success. This is a quote about preparation and skills. The question is what are your skills, and how can you pass them on to another. A skill I have is the ability to see problems, and come up with ideas on how to fix them. Problem solving is an essential skill in the workplace and personal situations. Everybody can benefit from having good problem solving skills as we all encounter problems on a daily basis; some of these problems are obviously more severe or complex than others. Problem-solving may seem straightforward at first glance, but there are many employees who stumble over one or more of the critical steps, failing to successfully resolve workplace issues. Successful problem-solving requires several important skills that will help you proceed efficiently from identification to implementation. In the early stages of problem-solving, you need to have strong observational skills. Rather than accepting issues at face value, you need to demonstrate lateral thinking and analytical abilities. These will help you properly assess what's going on and pinpoint the core cause of the issue. As you explore potential solutions to the issue, you must demonstrate persistence. Finding the right approach to the issue won't come easily. Innovative thinking will serve you well. Employees who know how to utilize their creative thinking facilities will excel in the second and third stages of problem-solving, as they're able to come up with approaches that others have overlooked. Implementing your solution requires its own skill set. This typically requires a careful balance of teamwork and leadership. You'll need to demonstrate resilience to withstand inevitable pushback from co-workers who resist change. Both communication and negotiation are important at this point. Once you've implemented your solution, you'll need to utilize critical thinking and attention to detail as you assess the results and tweak your strategy as needed to make sure the problem is successfully resolved. This old Irish proverb rings true for me. How about you? What are your best skills and who will you pass them on to.